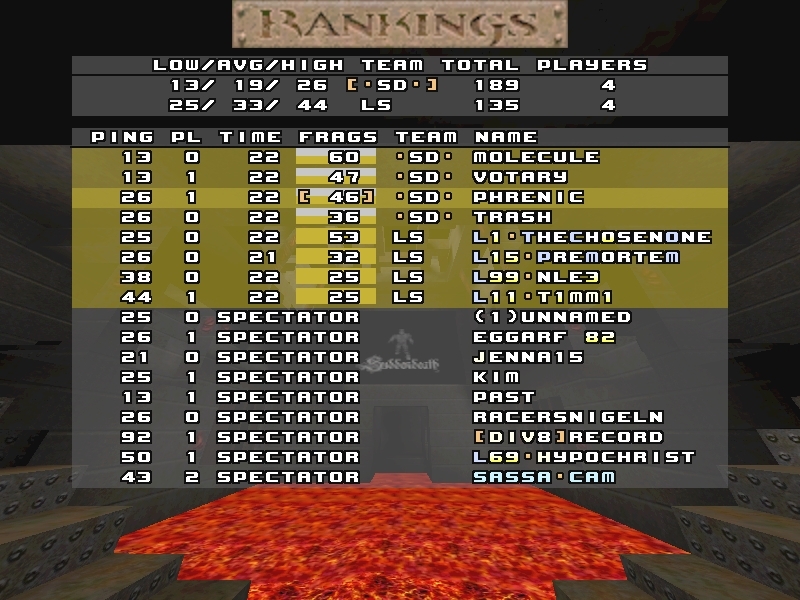 Dm2: they got everything, lowrl, quad, high rl and took an early start with ~ 70-20 or something, then we managed to get some hand of tele and high rl, we got a few quads and won, was a nice, pretty tight game. 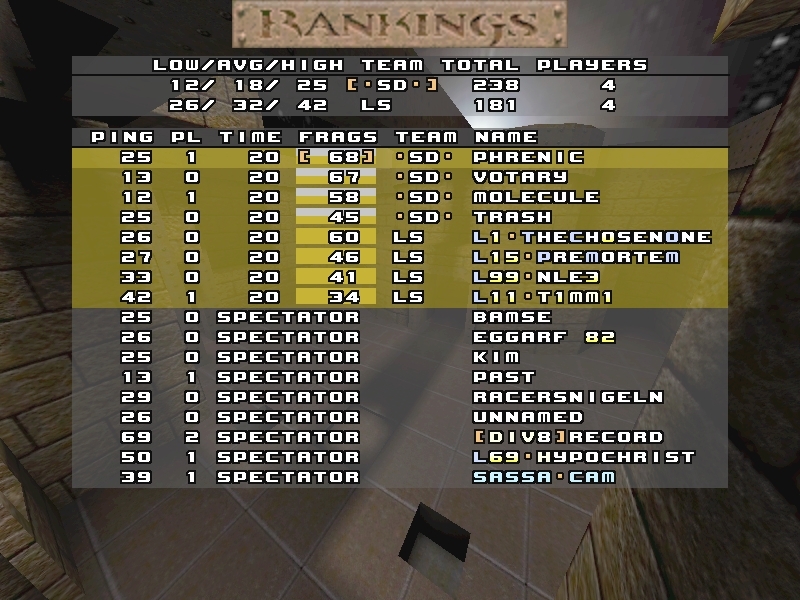 e1m2: They got first 3 rockets, and quad... tco got 137frags the e1m2 game before, so we knew we had to take him down, we got a few quads, but never really took over ya, we managed to win in some strange way, gg's anyway! Dm2: We got a great start, then we sucked. e1m2: We had alot of control, but then we sucked even more.